early tuesday morning my alarm goes off, breaking the silence at 2 in the morning. i open my eyes to check on the emaciated figure lying on the floor at the foot of our bed. normally i would hear snoring from the 6-year-old canine. this time i hear heavy breaths. my pogiboy is terribly fatigued and i feared his difficulty in breathing spelled more trouble. pogi’s been going through another bout of diarrhea and vomiting since friday when he found the stash of colorful plastic clothesline pins my aunt forgot on the dining table. it’s been months since his last episode but this time, the poor dog has been forcing out the bits he’s ingested to no avail. he’s lost his appetite and his stool ranged from watery to globs of slime the consistency of eggwhites (but in poop colors). 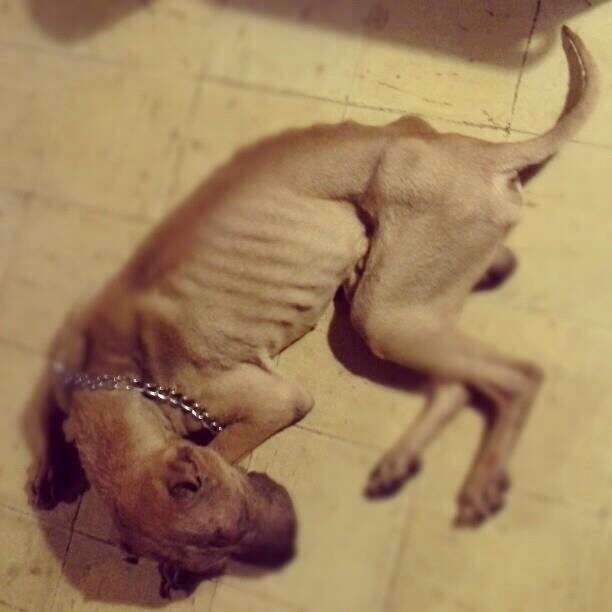 he’s also vomiting his dinner and has thus turned back to skin and bones, an unfortunate condition he would often be in. “what happens to the shoot,” asked carlo. “what about the cloud rat mockup? that’s supposed to be today.” carlo created a mockup of the endemic creature from mt pulag out of stuffed puppies. it was scheduled to be shot for the 2nd sequence of the day. “oh.” i almost forgot about that. i wouldn’t be able to work out puppeteering that mockup. “well, then you go and i’ll stay and bring pogi to the vet.” there really was no choice in my head. one had to stay, the life of our four-legged child depended on it. carlo grunted then rolled out of bed and headed to the bathroom. i knelt down where pogi was curled up. yesterday he woke up in the middle of the night and pooped in my aunt’s room because he didnt have the energy to go down the stairs and do his business in the kitchen like he always does (he never poops or pees where he sleeps). this morning my pogiboy never got up. it seemed he was all worn out, empty and drained. i kissed him on the head and uttered a prayer of healing. his eyes were full of rheum all the time now and i needed to wipe it often. he continued to breathe heavily. there have been many times i thought i would lose this beautiful creature and i said to myself once more, not today. pogi’s regular doctor at pendragon veterinary clinic in kalayaan ave, qc, ruled out his condition was due to the chewing of the plastic clothespin this time. his X-ray showed his gastric passages were empty in fact. however, his white blood cells were low, indicating an infection. the doctor’s diagnosis was ehrlichiosis, the blood parasite contracted from ticks, stage 1. pogi didn’t need to be hooked up to an IV drip, dra vallera said, so after he was given a shot i brought pogi back home with some more meds and a prescription. my pogi is a stubborn dog and we’ve been through vet emergencies several times but he never learned not to chew on hard plastic. tomorrow im throwing out all the plastic pins in the house. 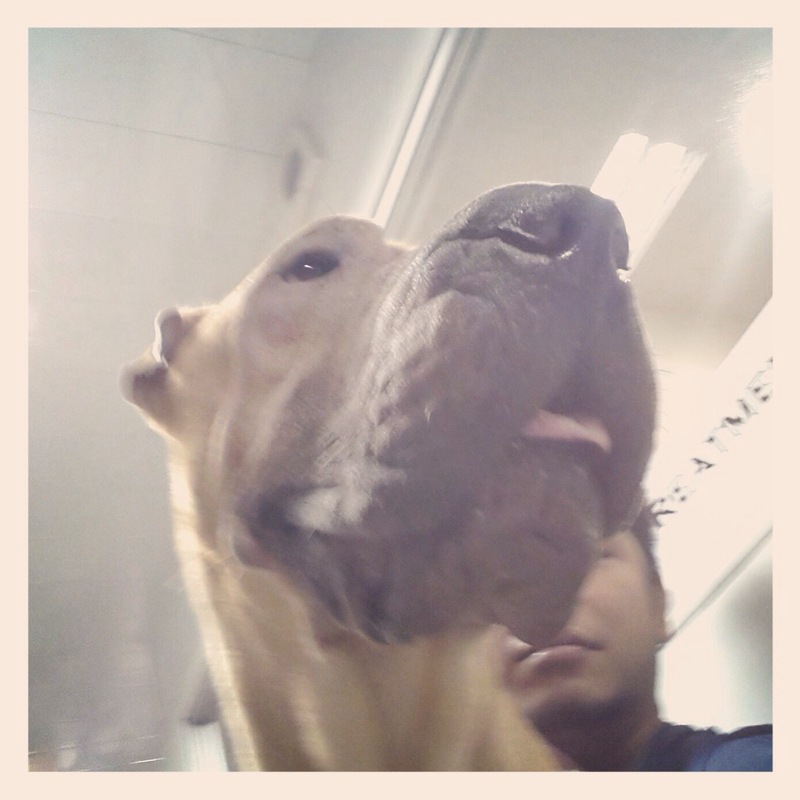 pogi selfie before we left the vet for home. btw, his appetite and energy’s back. yey! → happy 2013 of yore!